Our journey from Michigan to California, winter-spring 2014. Outside: Dark, evidently freezing rain. Sounds like schools are closed – all over the place. Miles traveled: Probably none. Hopefully we can stay put today. Surprises: The fact that we will be living in southern California for the winter and spring. Unexpected: The fact that my mom has decided to move into a smaller place. Noticed: How weird it is that we have been down-sizing for three years and my mom is suddenly trying to do it all in a couple weeks. Even weirder that I won’t be around to help her with it. Discoveries: My friends don’t all think like me and sometimes don’t agree with me. Yah, not a new discovery, just need to remind myself sometimes. Blessings: Oh, so many! One that comes to mind is the restorative power of sleep. AND an amazing husband! Amazing, I say. Reading: No time to read. So sad. But soon. Very soon. Accomplishments: Wrapping up the remnants of 40 years of living at Hidden Hollows. Nope, we’re not done yet, but we have come a long way and are getting close. Lessons: I can only do what I can do. Milepost 12-10-13 The newer RV arrived yesterday, and Kaye and I are on a mission to have it ready by our departure day, December 28th, when we hope to head for California for the winter and spring. 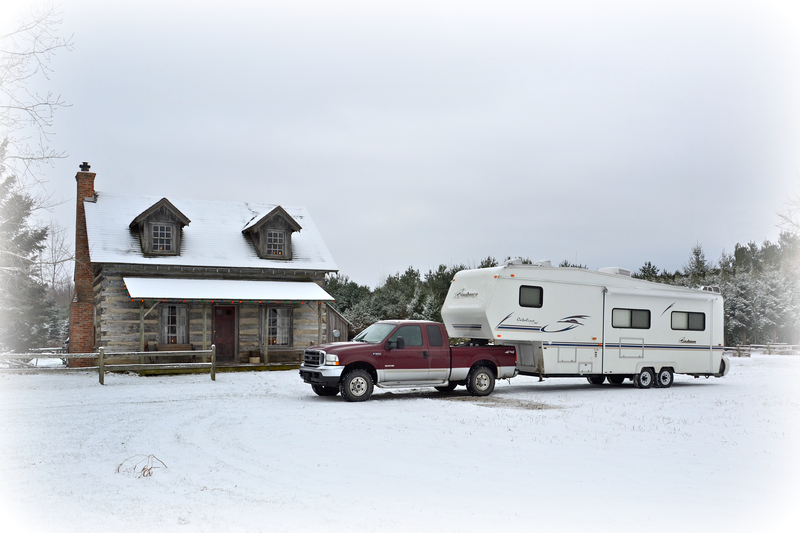 Today we emptied the cupboards and drawers of the old RV and carried everything across the yard (through the snow) to the new rig for sorting and re-assigning places – for the stuff we want to take with us for the next phase of life. It feels like we are in a race against time. It’s a small slice of the larger race against time: Life. And it is informed by bucket lists and lifelong dreams and a watchful eye on the clock of human life expectancy and physical well being. Can we get everything done before we are too decrepit to climb the proverbial mountain (because it’s there)? Or will we die trying? Or will we die NOT trying? 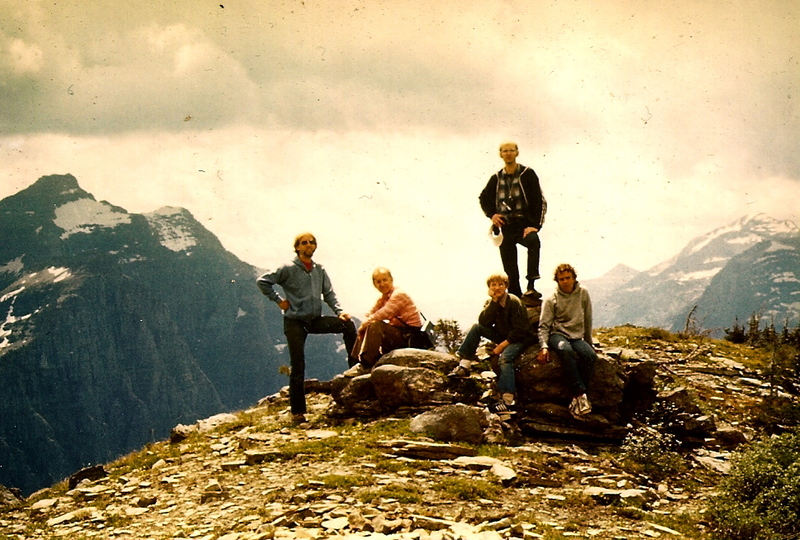 I summited a mountain with family members hiking the Skyline Trail at Glacier National Park. It’s been 10 years since Kaye was diagnosed with aggressive breast cancer, and we have been keenly aware of our mortality since that day, two days before Christmas, 2003. There’s nothing like cancer to remind a person of the shortness of human life and to cause one to formulate some quick plans about how to spend what’s left of it. We decided to travel more, to see more of the world, but our financial situation wouldn’t accommodate us. All of our capital was in real estate, and none of it was liquid. We had to make radical changes. For us, it meant downsizing, and we are still in the process. Finally, later this month, it looks like we will get to hit the road and wander around the country for a few years… perhaps until we can’t climb the steps of the RV anymore – let alone the proverbial mountain. Enjoy the moment. Stop and smell the roses. Don’t wait until retirement to have adventure or to take risks (and don’t seek adventure if you don’t like to take risks; they go hand in hand). Upsize when you need to. You need a bigger house and vehicle during the family years. And a bigger garage — for the Harley. Downsize when you need to. For us it was after the kids had moved out and we realized our house and 30-acres were too big for two people. Prioritize from the outset. If money is important to you, get an education. With a college degree, on the average, you’ll make 30% more over the span of your career (if you can get a job in your field). At 17 years old, a major factor in my decision to become a teacher was having summers off. No way would a 2-week vacation every year satisfy my need for extended adventure trips. Love people more than stuff. Your friends and family will determine your quality of life more than the job you have or the stuff you own. Respect them even when they don’t seem all that respectable, hold them tight for the most part, but give them space when they need it. Go climb a mountain. Start on your bucket list while you are still young. Believe me, it’s a big world, and there is too much to see in one lifetime, so you better get started now. My kids set the pace. My daughter, Wendi, has visited all 50 states and has backpacked with her husband from Mexico south through South America to Argentina. She and Scott own an adventure tour business in Alaska where they spend their summers. * My middle daughter, Angie, has lived on four continents and resided with her husband in India for two years. She planned their 10th anniversary trip to Florence, Venice and Rome without the help of the tour companies. My oldest daughter, Stacy, has visited 46 states and will get the other four in 2014 before her 40th birthday. She could write the book on lone wolf adventures for women (and she might do it), as her husband often works weekends. 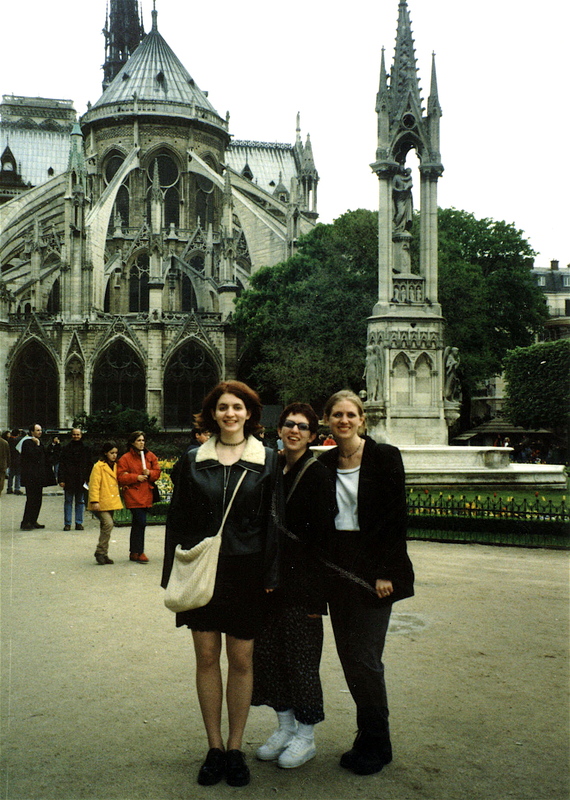 Three sisters at the Cathedral of Notre Dame in Paris. They’ve been great adventuring role models for me! Maybe this post isn’t really about the race against time that is life, but more about the race to keep up with my daughters on their adventures! 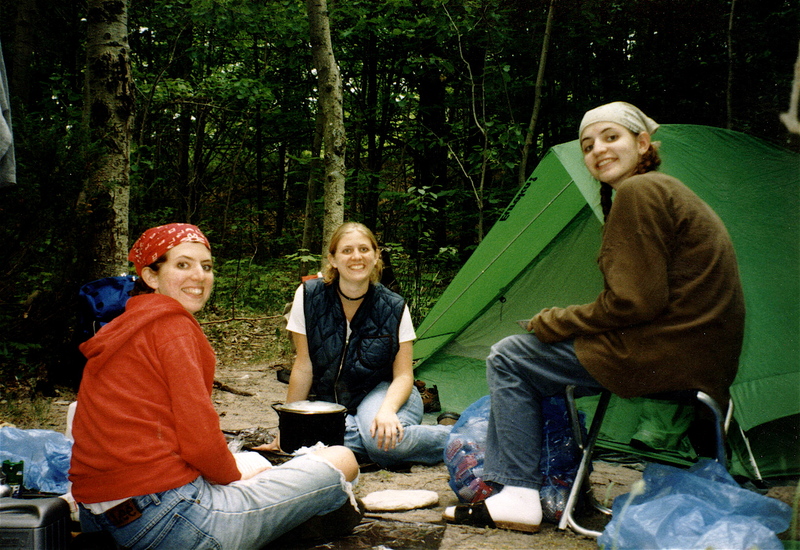 Angie, Stacy and Wendi camping together on South Manitou Island as young adults. Anyway, Kaye and I are taking off to assume the gypsy life for a while – and the risks and adventures that go along with it. Maybe we will meet other vagabonds along the way. Perhaps we will bump into YOU somewhere between the oceans in the next couple of years. I hope you will give us directions if we seem to be lost. What adventures are on your bucket list? In what phase of life will you make them happen? Click “Leave a Comment” at the top to tell me about it. Also, if you’re interested in life on the road, please “Follow” (in the left sidebar) to see where we end up next time. * Also see the BBC story from Lonely Planet writer Roff Smith mentioning Wendi and her work at the famous Black Bear Coffee House at Denali. Milepost 12-9-13 Today we went and picked up our newer RV, a 2001 Coachmen fifth wheel that will be our home for the next couple of years, and we drove over snowy roads with a blustery cross-wind while towing it home. Exactly the sort of weather we are trying to get away from. How ironic. Or maybe just really appropriate. We just brought home our new home-away-from-home… in a snowstorm. We will spend the next few days transferring stuff from the cabin and the older RV into the new rig. We are moving out of the cabin so it will be available to rent while we are away. The plan is to head west to California for the winter around December 28th, so we have a lot to do in the next couple of weeks. It just occurred to me that perhaps we should christen the new rig before we take off. When they were still at home our daughters used to name all of our vehicles. We took “Oliver”, our white Ford van for our last trip to California back in 1991. It was a month-long camping trip that included 8 national parks on a wide circuit from the Tetons and Yellowstone over to the Redwoods and Yosemite in California and then back east via the canyons, Bryce, Zion, and the Grand, and over to Texas for a quick visit to Carlsbad. 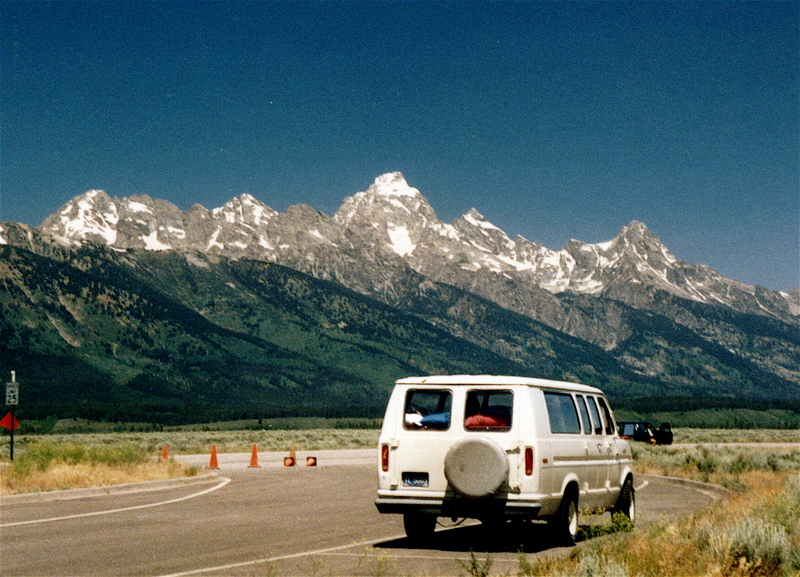 The Ford van was perfect for our family of five in the Teton Mountains on a 6000-mile trip. So, how does one name a vehicle? I am not sure what method my daughters used back in the day, and I don’t know if the style or appearance of the rig had any bearing on its eventual moniker. Shall we call the new RV “the RV”? Or “The Coachmen”? Or shall we be a little more creative? 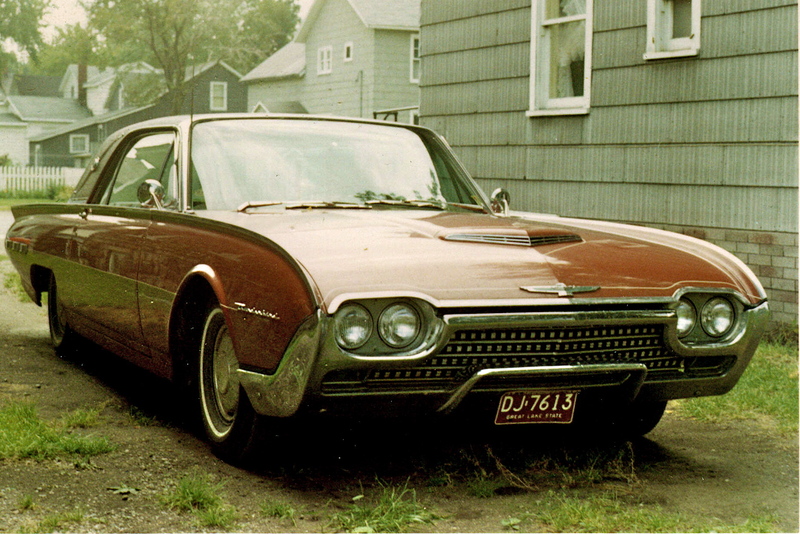 My first car I simply called “The T-Bird”. We are in downsizing mode. Again. This time we are packing for the trip to California where we are scheduled for a 5-month work/camp stay at Kenney Grove Park in Fillmore, through the winter and spring. We get a free camp site with full hookups in exchange for some part-time handyman work and camp hosting, an opportunity that Kaye found on the Workers On Wheels website. Then around June 1st, we head north up the coast highway on our epic journey to Alaska. We probably won’t get back to Michigan until August. We have been down this road before, but not quite this far. It’s the weight of everything that’s the biggest consideration this time, and I do mean weight — as in pounds and ounces. We are moving into a 29-foot fifth wheel RV that will be our home for the next few years. We have to cross the continental divide several times in the next year, hauling this rig and every bit of cargo we put into it. So, the importance of each item has to be weighed in terms of its actual usefulness. Too many heavy things will result in higher fuel consumption and engine work load. This is where we part with our decorative knick knacks and pottery collection. The 12-piece cookware set will be left in storage and a single skillet selected. The glass cookie jars are out, the light weight plastic containers are in. The toolbox will be culled until only the most essential tools are included. My piano and organ are going into storage. I’ve already moved to on-line banking so I don’t need to carry much of an office, so even the office supplies will be reduced to a bare minimum. 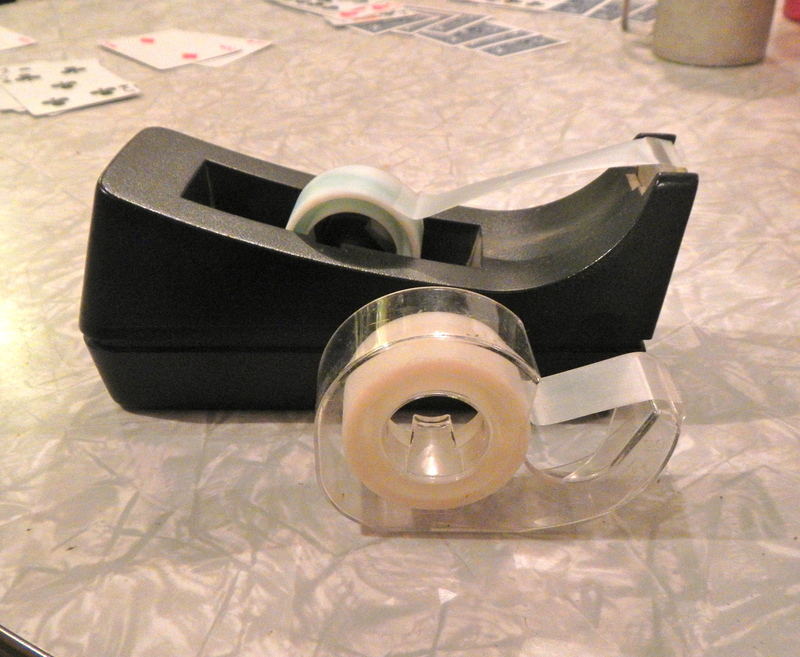 Which tape dispenser shall we take, the desk model filled with sand, or the disposable plastic one? This is a deeper level of downsizing than we have experienced up until now. Three years ago we started sorting and pitching so we could move out of our 10-room house and into a one-room log cabin. A lot of our stuff just went into storage sheds, even after we had yard sales and umpteen Craigslist listings to reduce our inventory. But this is where the rubber meets the road. Actually. Because there is only so much space in the RV and only the essential necessities will pass muster. This can be really difficult. Kaye is a book lover who had a library in the big house with hundreds of volumes. Now she will carry a dozen titles at most. Fortunately, she owns a Kindle and has it loaded with hundreds of digitized books — which are weightless. And I am leaving my workshop locked up at home with all of my prized power tools and sawhorses; I’m only taking one toolbox, and there’s no room in it for a table saw or a chainsaw. I’m hoping we don’t have a repeat of our earlier Smokey Mountain encounter where we came around a bend in a narrow mountain road and found a tree down across the road. I had to use my small campfire axe to cut it in two so we could get through. Well, it looks as though we will leave the Michigan log cabin around December 28th for our westward winter wanderings — which will turn into our spring and summer sojourns. With careful packing, our load will be light enough to climb every mountain with ease. And our adventurous spirits will reach new heights as well!